NetEnt’s commitment to a gender-balanced workforce has been recognized for its 50/50 Senior Management Team and as a leader in gender balance among listed Nasdaq Nordic tech companies. 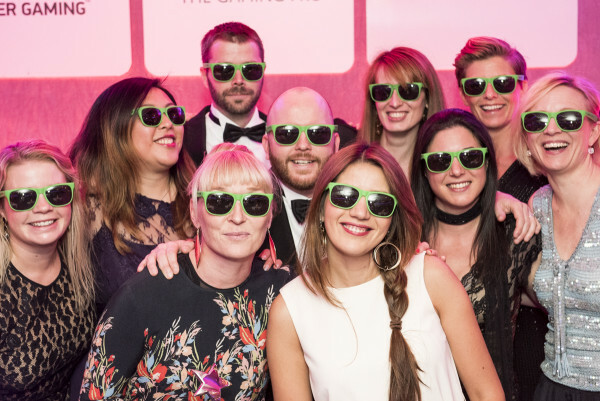 The company recently enjoyed great success at the 2016 Women in Gaming Awards, marking an inspirational year for the company’s role-model female employees. The innovative gaming supplier has publicly announced its goal to have a 50/50 balance by 2020.Its investment in top female tech talent has delivered result as the company received nominations in an impressive eight categories as well as a prestigious double win, making them the most awarded company of the evening. The night’s headline prize – the Industry Pride of the Year Award – went to ex-footballer and NetEnt’s Health and Energy Manager Frida Östberg for leading NetEnt’s drive to provide health and wellness to all its employees. Development manager Fayan Pourisa picked up the Team of the Year award on behalf of the NetEnt Live Casino department at the splendid ceremony in Knightsbridge, London. CEO Per Eriksson, who is championing the company’s gender balance agenda, said that the winners and nominees are an example to any women looking to forge a successful career in gaming. Industry Pride of the Year – NetEnt’s Health and Energy manager Frida Östberg was picked out from the finalists for the main award of the night, recognizing her outstanding contribution to providing health and wellness to all NetEnts employees. Team of the Year – Development manager Fayan Pourisa received this award recognizing the entire NetEnt’s Live Casino team for their success and market progress last year. B2B Excellence Award – Regional business manager Danielle Murray was recognized for gaining significant, sustained growth within the UK region, and achieving impeccable satisfaction results from her clients. Employee of the Year – Games project manager Sandra Karlsson has delivered entertainment and immersion on NetEnt’s slots to players across the globe, releasing exceptional games on time, every time. Industry Achiever – Regulated markets product owner Alexia Smilovic has been at the forefront of NetEnt’s engagement with regulators, playing a large part in growing the regulated industry as a whole. Innovator of the Year – Communications director Anna Romboli has transformed internal process at NetEnt, resulting in product innovations that have secured the company’s position at the cutting edge. Leader of the Year (iGaming) – Chief development officer Åsa Bredin is hugely influential in the industry, a compelling leader and a vital part of NetEnt’s 50/50 gender-balanced management team. Sales Manager of the Year – Sales manager Magdalena Podhorska has surpassed all sales targets in both existing and emerging regulated markets, securing 30 of NetEnt’s 47 new customers. Inspiration of the Year – Former professional footballer Frida Östberg has coordinated NetEnt’s health and energy program, giving employees the best work/life balance possible.